I am not a great fan of rosés wine, being one of those drinks that is marvellous when on holiday somewhere hot but which seems to lose its allure once back home (especially on a wet weekend after any memories of the aforementioned holiday has long since faded). The only rosé wines that have really taken my fancy are those from Bandol in the South of France and the very fine “Rose of Virginia” offering from, the Barossa legend, Charlie Melton (who I had the pleasure of meeting at a wine dinner a fair few years ago and who made Crocodile Dundee seem a tad girlie – his rosé is appropriately butch). Good as these are they are not cheap. 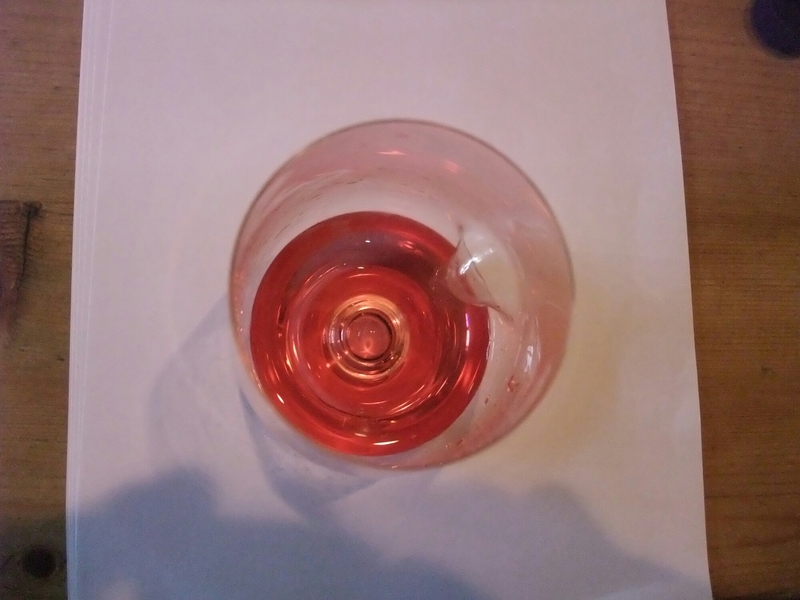 Notwithstanding my slight indifference to rosé wines in general, Mrs. SF quite likes a glass of it and I had received a number of requests from work colleagues, who follow this blog, to review some rosé wines (with strict instructions that they mustn’t be too pricey). The sunny Easter Bank Holiday weekend and a trip down to my Mother’s in Somerset (to get the new dog, Oscar, use to car travel – not entirely successful for the little fella or my car) presented the ideal opportunity to taste a few rosés in the rather fine spring weather. The forecast for May also looks good for sitting in the garden supping on a nice chilled rosé (according to the Met Office). I confidently expect a deluge of biblical proportions throughout May now I have said this! 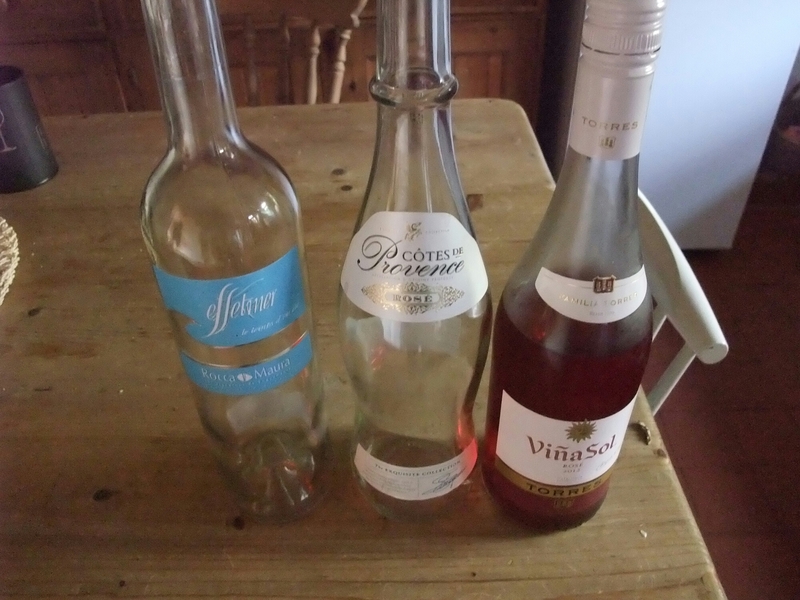 As the title suggests I wanted to compare rosés from two of the supermarkets and also from an independent wine merchant.The price cap was set at £7.00 on the basis of a brief to look at affordable rosés. This is a wine from Aix de Provence in the South of France and is made from 100% grenache grapes (usually the predominant grape in Chateauneuf du Pape). First impression was blimey this is a very, very light rosé with the blush element being barely perceptible. The labelling is equally minimalist making it tricky to pick this wine on a whim, but that’s what is great about wine merchants. They know what they are talking about, so if you are not sure just ask. Tell them what you like and your budget and they will guide you in the right direction. On the nose, it had a subtle raspberry aroma (I thought raspberry ripple), with hints of citrus. On the palate it was crisp and refreshing, with the raspberry and citrus theme continuing. It was dry, but there was a bit of sweetness evident as the flavour developed on the palate (much like that with a ripe raspberry). This is not a massively complex wine, but very pleasing all the same and good value for money. This is a wine that would be excellent on a hot day, well chilled. The fact that it is relatively alcohol light, 11.5°, makes it all the more quaffable and we happily polished off the bottle. 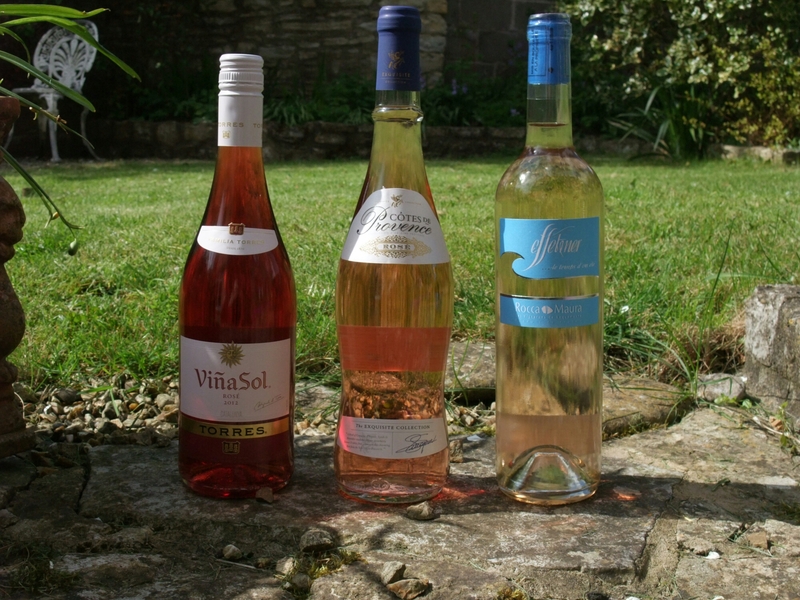 Wine 2 – Aldi Exquisite Collection – Cote de Provence Rose (£5.99). As indicated in a previous review, I have been impressed by Aldi’s “The Exquisite Collection” range and this wine was no exception. Whilst it did come in a pretty ghastly bottle (albeit the traditional shape), which to me made it look very much like a jumbo bottle of cheap perfume (my sister liked it – am saying nothing), the wine inside was really rather pleasant. 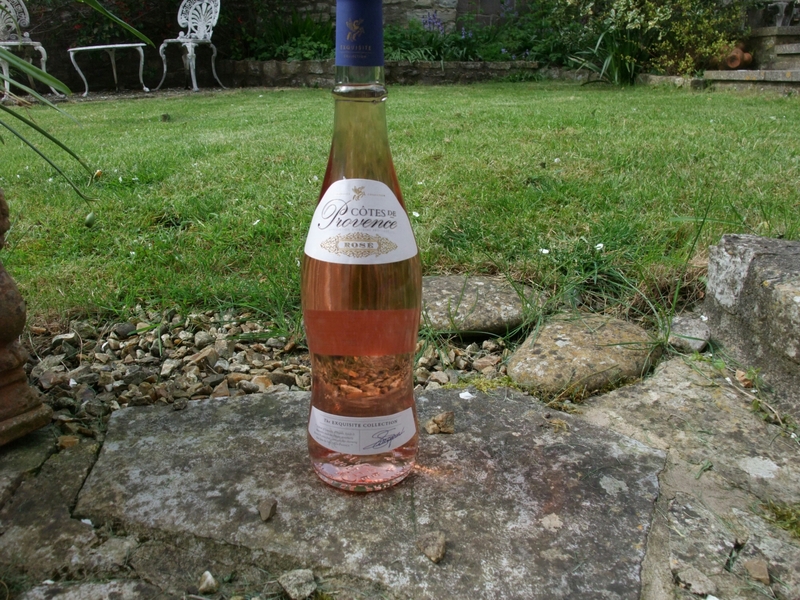 I suspect the bottle shape reflects the fact that the predominant drinkers of rosé are woman. It is of course what’s in the bottle that is important, but it may put off a wider audience (I have a mate who I know would never buy it solely due to the bottle shape), which is a shame as it is good stuff. Having said that, I happily picked it off the shelf and it certainly stood out from the crowd. 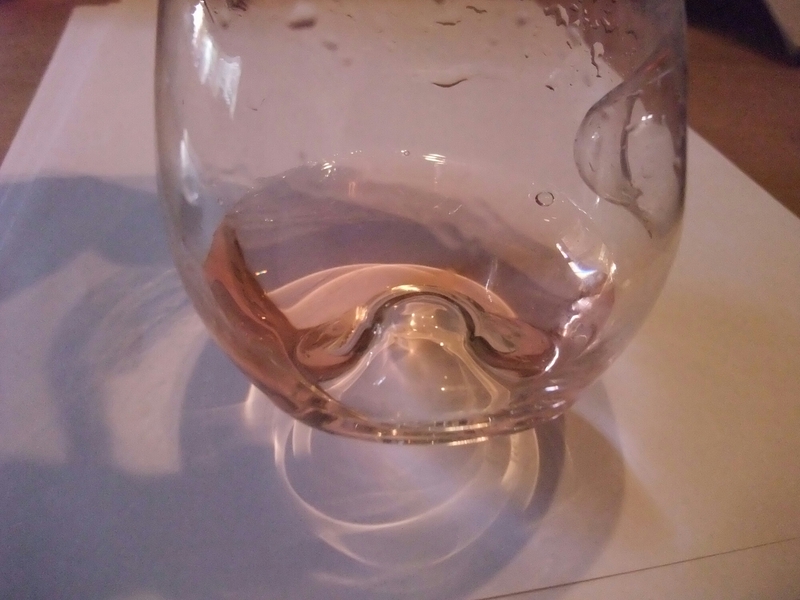 The colour was more in line with a traditional rosé being powder pink and it looked nice in the glass out of that bottle. The grapes used here are grenache and cinsault. On the nose, there were pleasant strawberry notes. The aromas were less subtle than the Effet Mer, but no less appealing. On the palate strawberry flavours were to the fore, with a more pronounced seam of lemon being evident. It was sharper and drier than the Effet Mer and lacked its touch of sweet fruit, but was easy to drink and at 12.5° alcohol it didn’t feel heavy at all. Ignoring the bottle shape , I thought this was a very passable wine and good value. In short a good quaffable wine, ideal for a lazy afternoon on the patio enjoying the sun (if we get anymore that is). 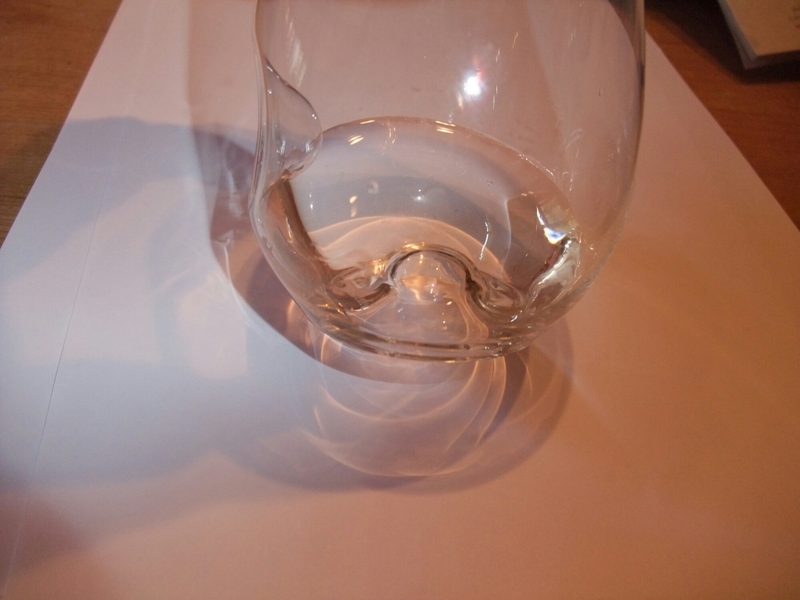 As with the Effet Mer, the bottle was finished in quick time and enjoyed by all. I am a great fan of Spanish wine, with the majority of my wine collection at home being Spanish, and I had high hopes for this wine based on it being from Torres (who makes some stellar wine, such as Mas La Plana) and some positive reviews from a number of respected wine critics. The grapes used are granacha (Spanish for grenache) and carenena. The colour was a lurid cherry (like a cherryade) and looked just a bit artificial to me. On the nose, the aromas were much headier than the first two wines with distinct notes of cherry and redcurrant. The nose like the colour had an artificial (made in a lab) feel to it though. On the initial taste there was sweet cherry, but it had a chemical, almost medicinal, aftertaste. I was not keen, a sentiment echoed by Mrs. SF, my Mother and my Sister. Alcohol wise it was the strongest of the three at 13.5° and it felt it. This stuff would, I suspect, have the potential to give a monster headache if drunk in the sun. I was pleasantly surprised by two of the wines tasted and pretty disappointed by one. 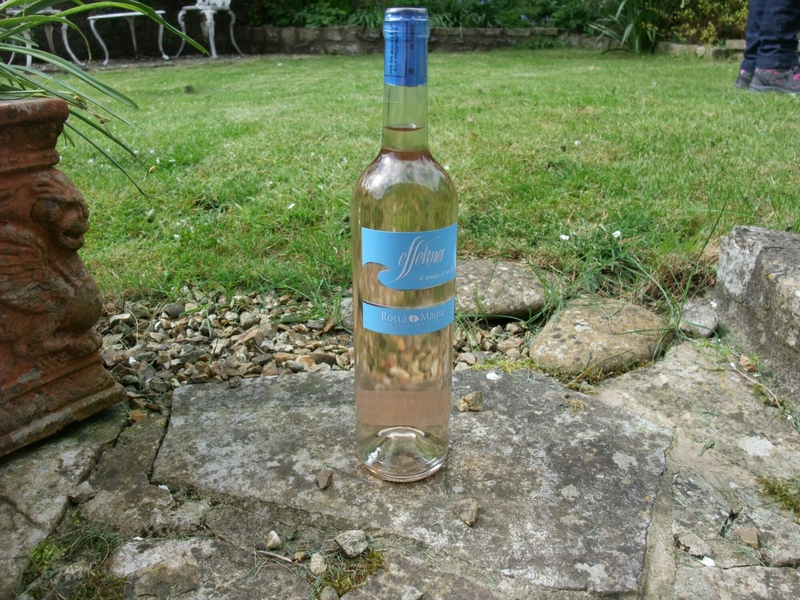 The bottle design aside, the Aldi rosé was a very pleasant and drinkable wine as was the Effet Mer. 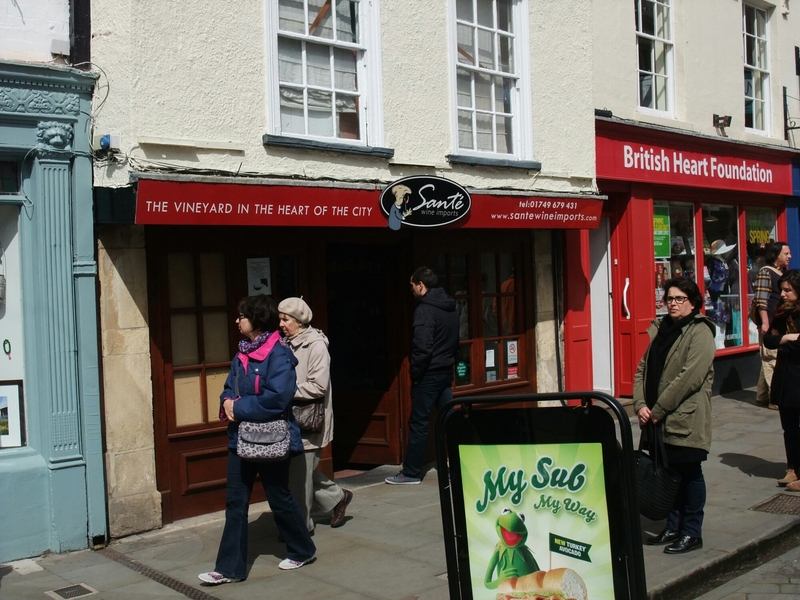 I would say, taking into account the respective prices of these two wines, honours were even. If price was taken out of the equation I would, at a push, concede I marginally preferred the Effet Mer, but there was very little in it as both wines were very quaffable. The Waitrose Vina Sol I didn’t like at all. Would I buy again? Given a nice sunny day, I would definitely pick up either the Aldi wine or the Effet Mer. 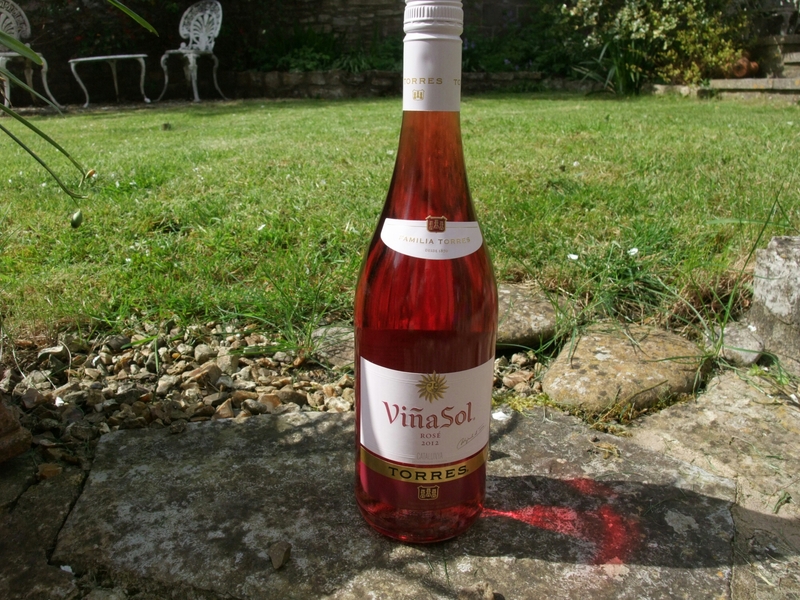 As for the Vina Sol Rosé, no chance especially as it was the most expensive of the three when I bought it. Even at the current, on offer, lower price of £5.49 I would still pass. This entry was posted on Apr 23, 2014 by solicitingflavours in Aldi, Cardiff, Food and wine products, France, Rosé, Spain, Waitrose, Wales, wine, Wine Merchant.